Building on the direct design intervention, teacher training, reach extension, and research results from earlier POD projects, POD4 will address the need for resources and systematic training opportunities to satisfy the needs of instructors and other professionals embarking on creating healthy outdoor environments for young children. 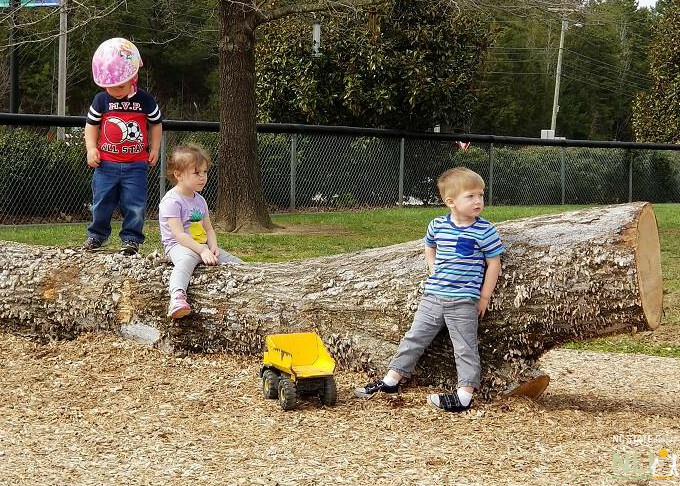 POD4 will engage partners across NC, including community college faculty, early childhood technical assistance providers, childcare owners and staff, the NC Division of Child Development and Early Education (DCDEE), and the NC Institute of Child Development Professionals (NCICDP), to pursue the following four strategies in an effort to apply evidence based models to enhance outdoor learning environments for young children. OLE Best Practice Indicator Scale coding with feedback The OLE Best Practice Indicator Scale will help early childhood educators and other professionals to visualize levels of development of OLE sites providing visual and written feedback. Online tutorials and videoclips will show affordable solutions, and demonstrate appropriate management practices. Online OLE Higher Education Modules Modules developed by POD3 for Higher Education Institutions will be available for academic institutions beyond the Community College Online Syllabus Library through a dedicated website containing online tutorials and link to educational resources. Demonstration Sites at Community Colleges As a follow up of the POD3 Community College component and the creation of Professional Development Modules for Higher Education POD4 will support seven (to be selected) Demonstration Sites at Community Colleges for the benefit of enrolled children, instructors, and students, who will learn first hand about the importance of OLEs for healthy child development. Preventing Obesity by Design (POD) Certificate Program The Preventing Obesity by Design (POD) Certificate Program will transfer knowledge about participatory design processes and tools to improve childcare outdoor learning environments with the objective of supporting healthy, active lifestyles, and learning in nature for young children. The program will emphasize the implementation of best practices for healthy childhood environments and provide participants with continuing education credit. 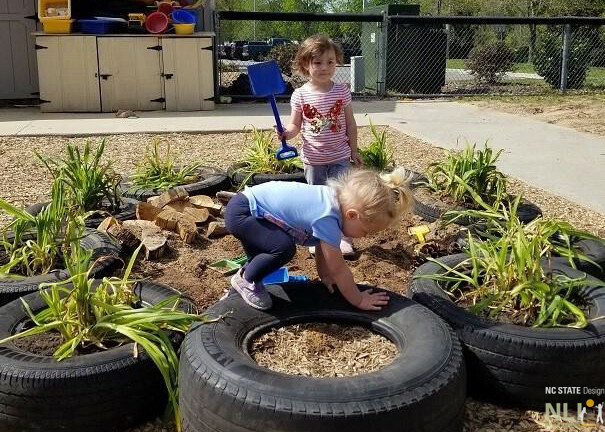 The Preventing Obesity by Design (POD) Certificate Program will transfer knowledge about participatory design processes and tools to improve childcare outdoor learning environments with the objective of supporting healthy, active lifestyles, and learning in nature for young children. The certificate will be delivered as a hybrid model. Distance education through the Center for Continuing Education, McKimmon Center, Office of Professional Development, will offer the certificate as a non-credit education opportunity. A face-to-face education session will be conducted in association with the NLI Annual Design Institute, and as pre-conference activities at the NCAEYC and SmartStart Annual conferences. 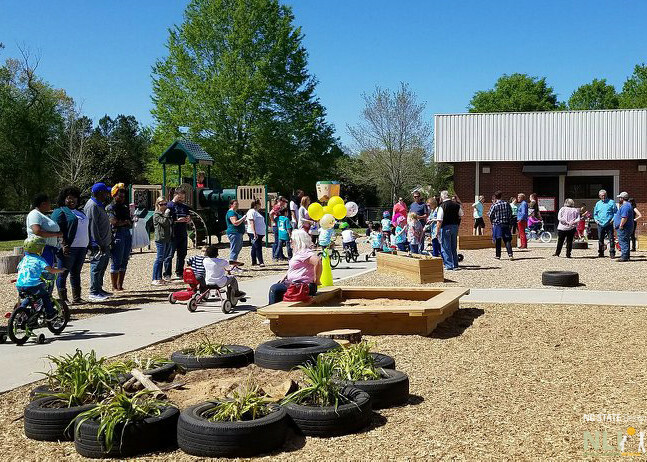 Review of latest environment and behavior research regarding healthy outdoor spaces at childcare. Preventing Obesity by Design (POD) overview. Program mission, history, process, and areas of activity. Best Practice Indicators. Part 1. Describes 6 (out of 12) best practice and incremental development steps to create high quality outdoor learning environments. Implementing the vision. Describes step-by-step process from site documentation to master plan production. Managing Site Naturalization. Explains fundamental tasks involved in managing naturalization. Community Engagement and Fundraising. Describes the process of building community support and generating financial support and non-monetary resources to implement POD initiatives. Final Project. Facilitates the application of concepts and processes to implement a POD project using participatory design processes. Certificate program will qualify for NC State University McKimmon Center Continuing Education Units (CEUs).